This fun collection consists of ten StikArt "scenes" and twenty-four StikArt elements to make your own scenes. There are also many wordings customized in the Kids font to combine with the designs. See individual designs below for size descriptions. Great design for teachers also! Color stops added for different skin tones. Just change the wording! Set now includes sayings for teacher, Nanny, Grandma, and secretary as well! 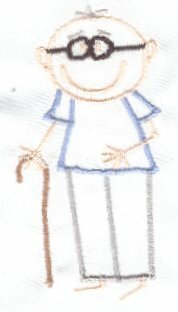 Companion design and sayings for Dad, Grandpa, coach, counselor, principal, and janitor also added! Faces and wording fit 4" hoop. Add music notes in large hoops or Viking Plus Hoop. Color stops added for different skin tones, if desired. The price for this collection is only $35. kindergarten visitation. I'll bet that was one proud little girl wearing that dress! Wonderful idea, Sue, and you did a great job! 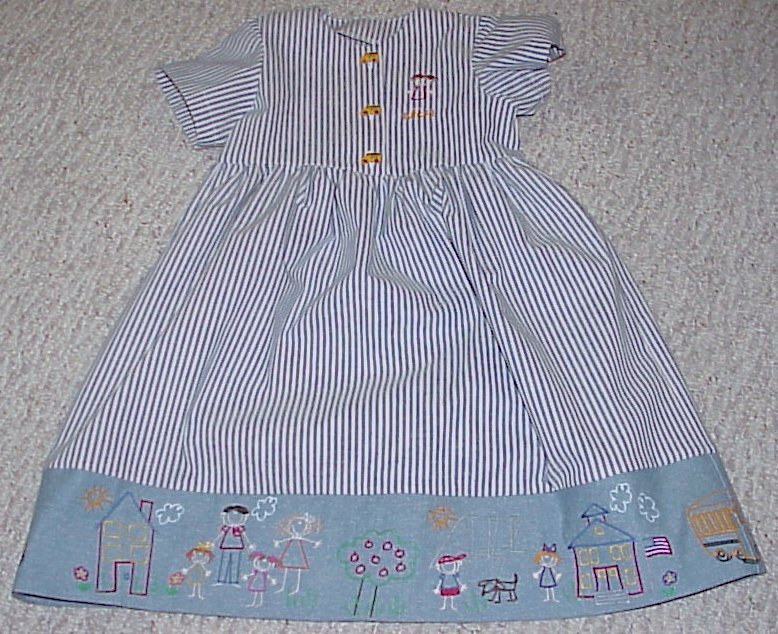 And here's another great idea from Sue: try stitching these designs in solar active thread! Sue says they lend themselves perfectly to it and the kids love watching them come alive in the sun! 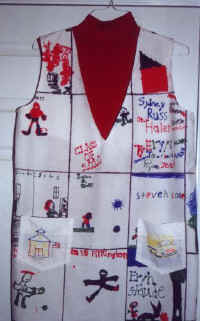 Susan Kacsits made this special jumper for her daughter's second grade teacher to wear on "Author's Day". 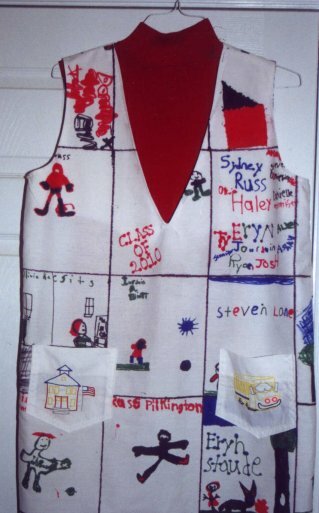 The children each decorated a square for the jumper and Susan used the Stikart school and bus for the pocket designs. Imagine how proud those children felt to see their teacher wearing the dress they made her! Too cute! Thanks, Susan, for sharing! 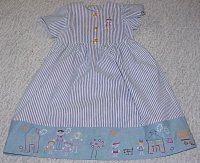 Be sure to check out the Sew 'n Show Page for more ideas! This design comes with and without wording in a variety of sizes. Choose your flavor!